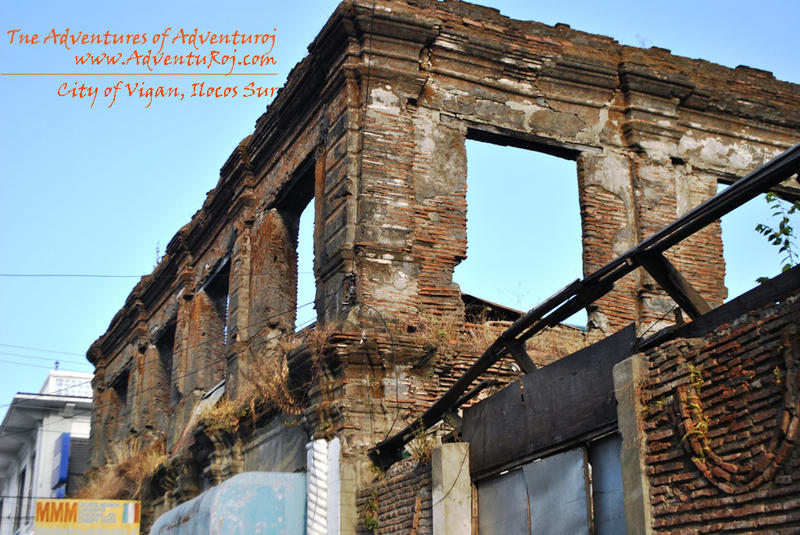 Heritage Walking Tour in Vigan | The Adventures of AdventuRoj! 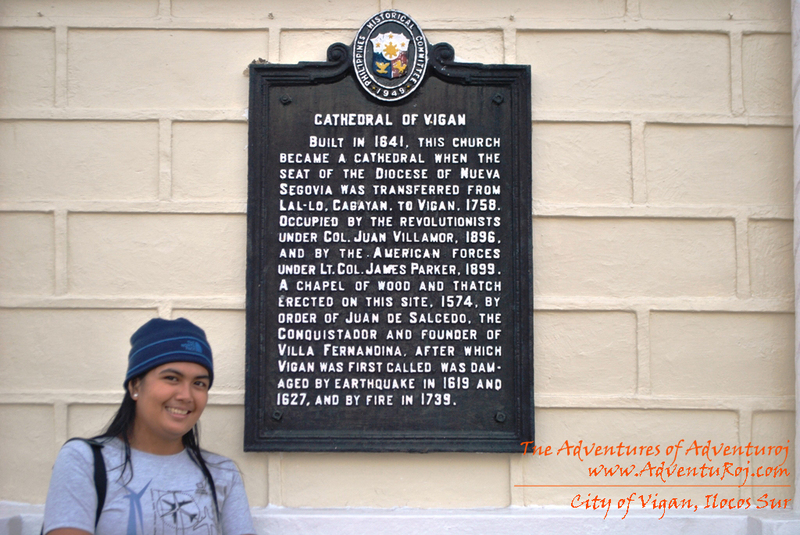 To complete our Ilocandia Adventure, we headed to the City of Vigan, the second greatest architectural legacy of the Spaniards, next to Intramuros in Manila. 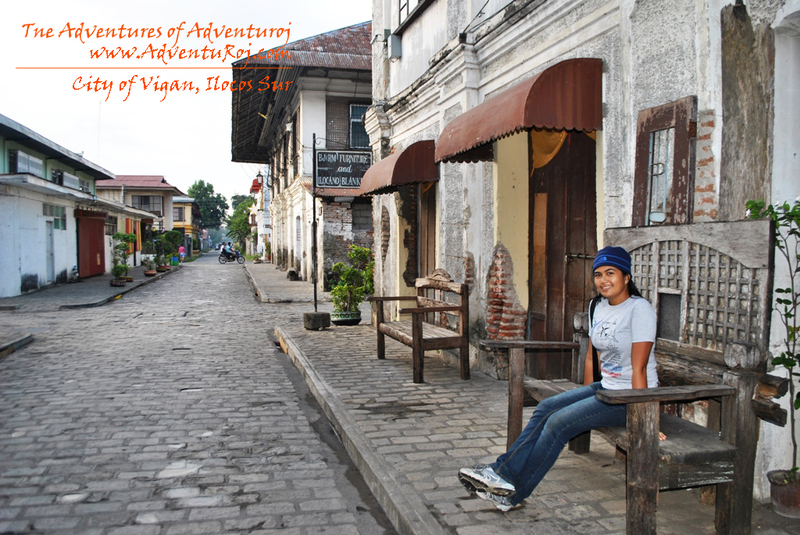 Established in the 16th century, Vigan is the best-preserved example of a planned Spanish colonial town in Asia. 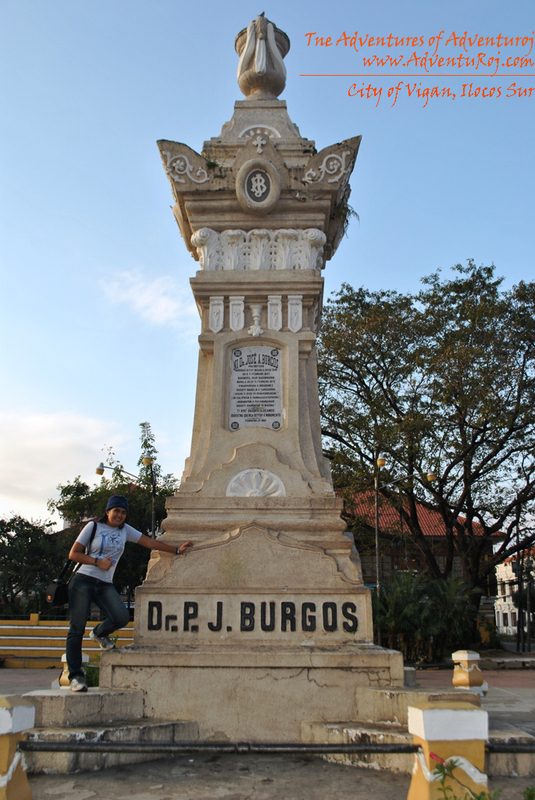 It is a World Heritage Site in that it is one of the few Hispanic towns left in the Philippines. 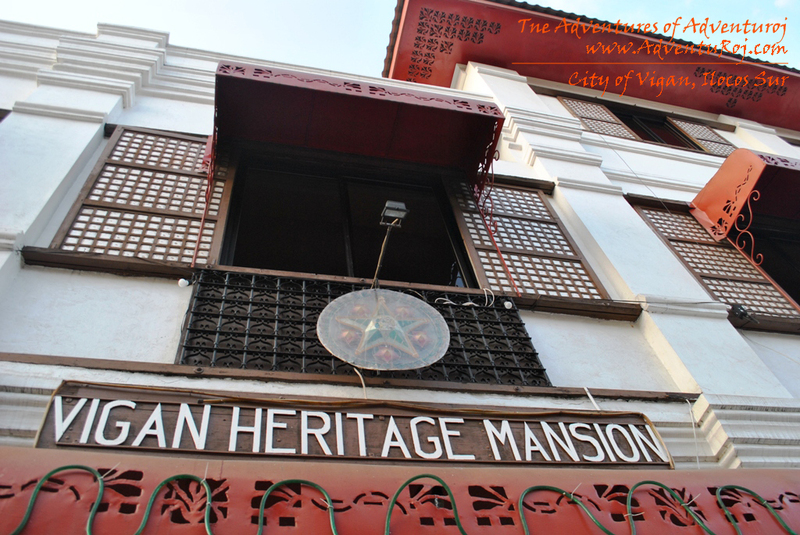 Along cobblestone streets, horse-drawn carriages clip-clop through beautifully weathered mansions finished with terracotta roofs, capiz shell windows and wrought-iron grillwork. 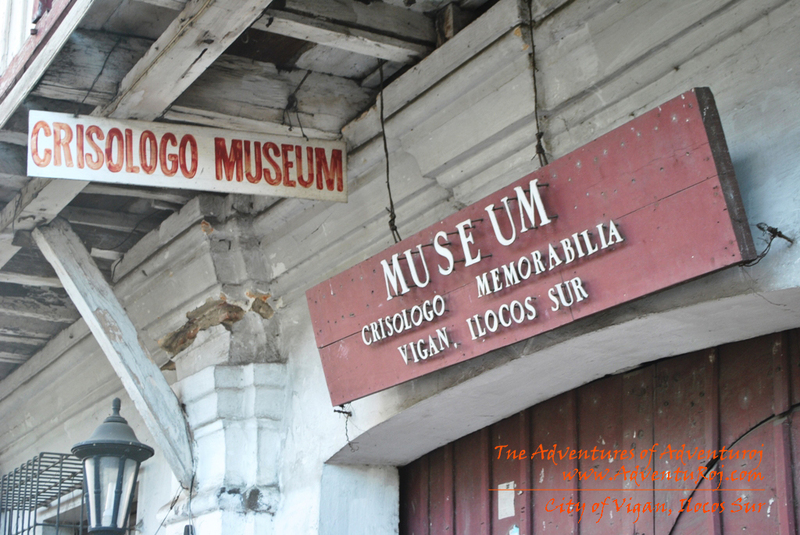 No other town in the Philippines evokes old-world allure better than the provincial capital of Vigan in Ilocos Sur. 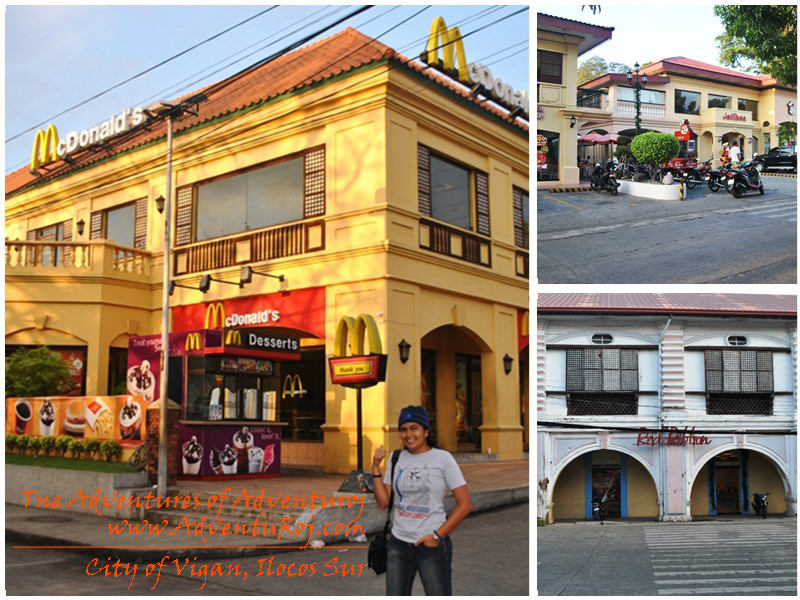 Even commercial buildings of popular Philippine brands have been constructed to blend Vigan’s traditional architecture. 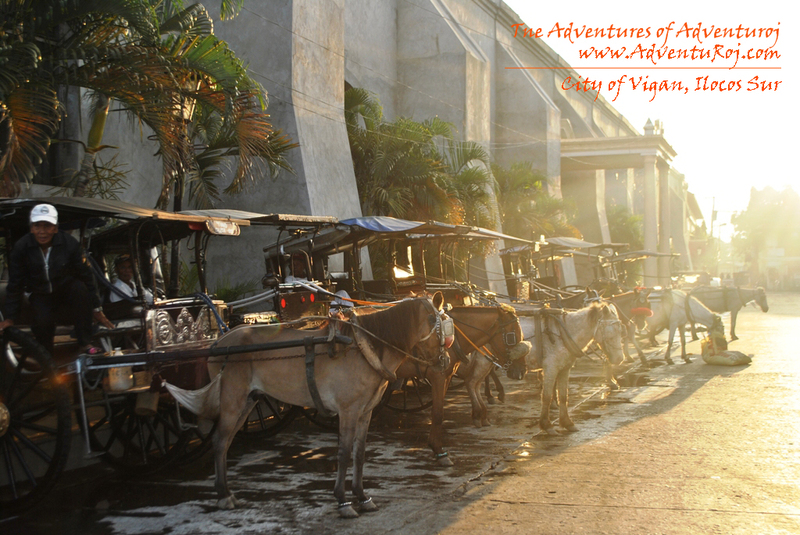 If there’s a destination in the Philippines where going for a tour is easier than easy, then it is in Vigan. You can start at any point. 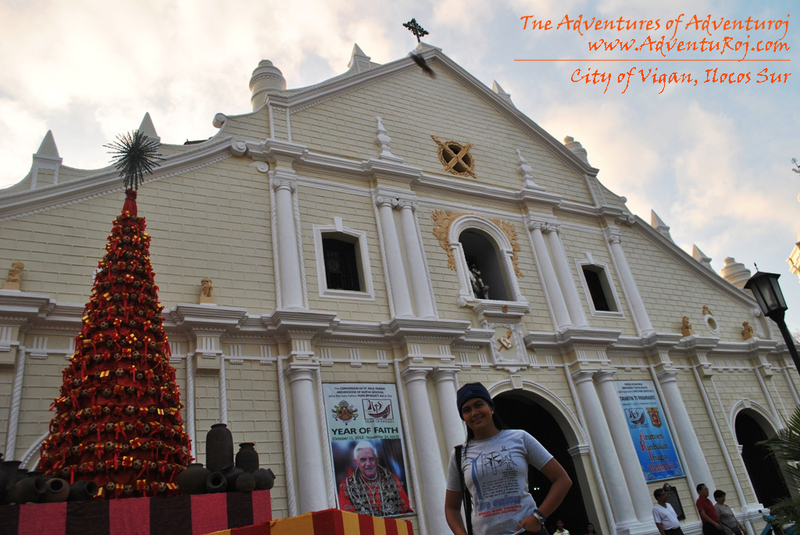 For us we started at the Saint Paul Cathedral, also known as the Vigan Cathedral. 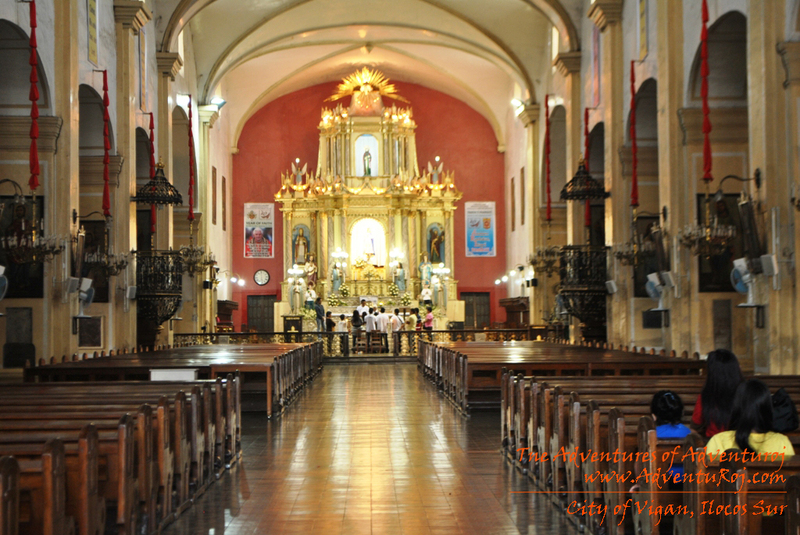 St. Paul’s Cathedral is the seat of the Archdiocese of Nueva Segovia. 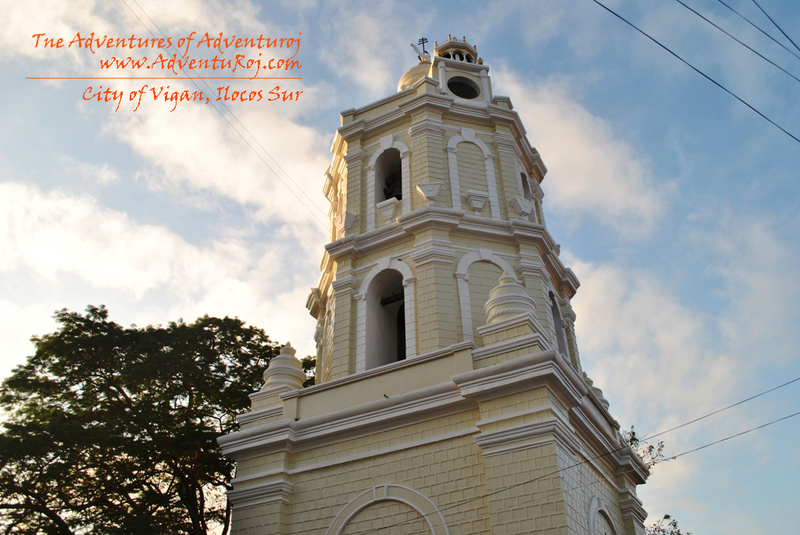 It follows a Baroque architectural design that has been modified by Ilocanos to strengthen the structure against earthquakes. This is now known as earthquake Baroque. Testament to the style’s effectivity is the fact that the structure’s original interior walls have remained complete. Facing the cathedral, visitors are greeted by the statue of St. Paul above the main opening. 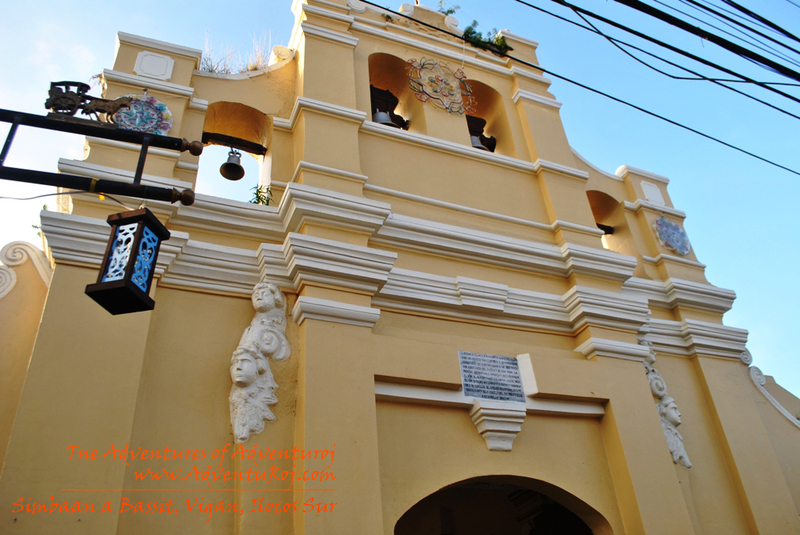 Right in front of the Saint Paul Cathedral is the Plaza Salcedo, named after the Spanish conqueror, Juan de Salcedo who subdued the early native settlement in Vigan and established upon it Villa Fernandina for the monarchs of Spain in 1572. 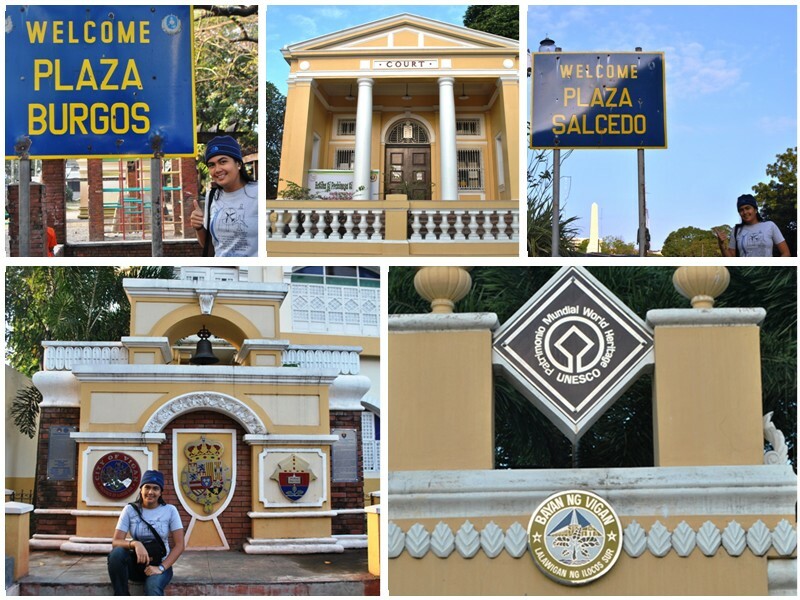 It is also important to note that Plaza Salcedo was the site of the execution of Gabriela Silang in September of 1763. The first woman leader of the Philippine revolution was publicly hanged there to serve as a warning to the restive populace. Next to Plaza Salcedo are the administrative buildings—the Casa Real or provincial administrative office, and the municipio (municipal hall). A stone’s throw away are the religious buildings—the seminary of the archdiocese and the Arzobispado (Archbishop’s Palace). 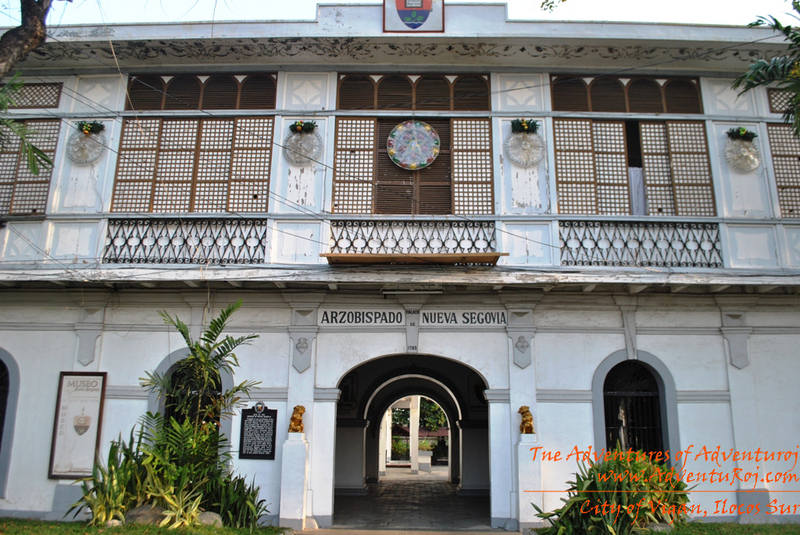 The Arzobispo is the only Spanish-period Archbishop’s residence in the Philippines that’s still in use. 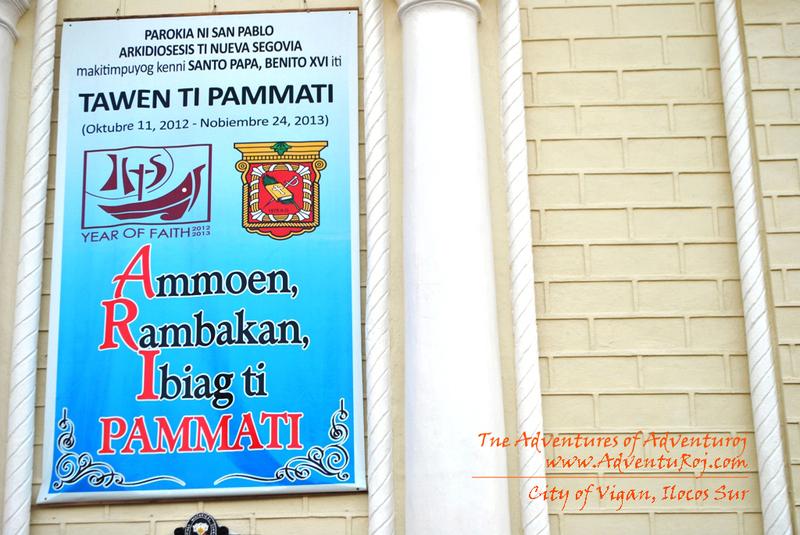 Not far you could find the Simbaan a Bassit, which means “small church” in Ilocano. 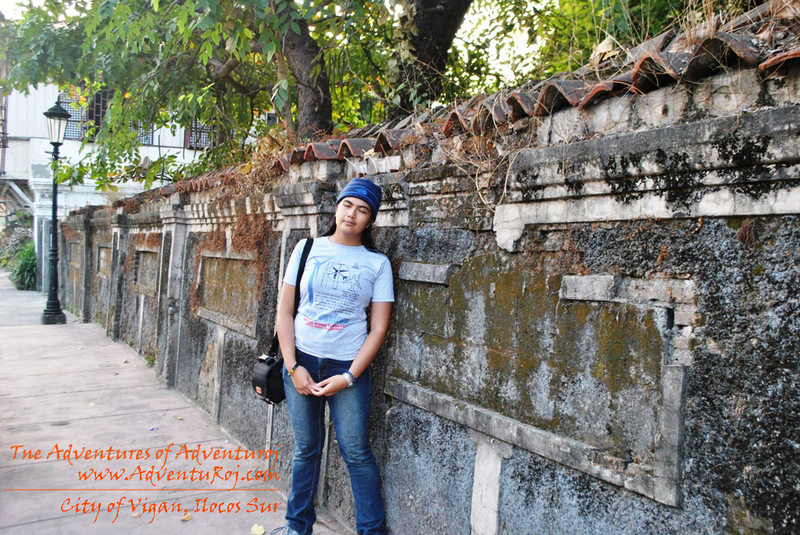 It is a cemetery chapel built in the 1850’s. 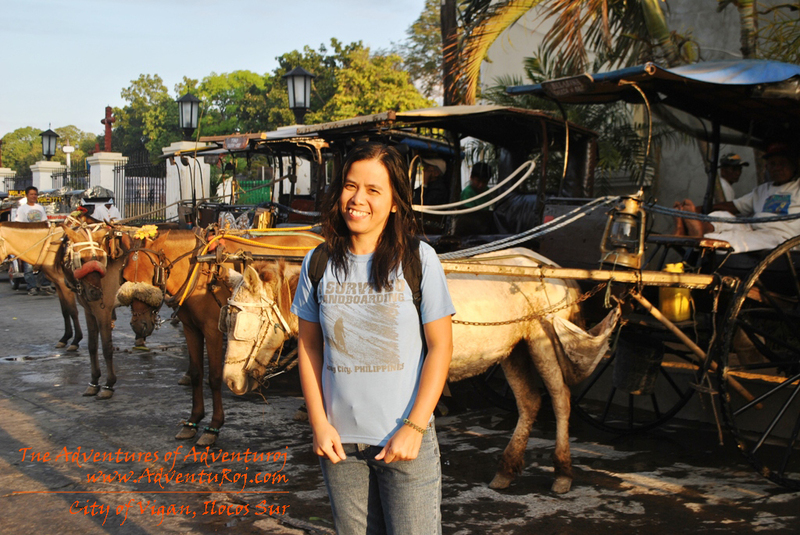 Other popular places tourists visit when in Vigan are the Baluarte and the Hidden Garden, both are just a tricycle or kalesa ride away. 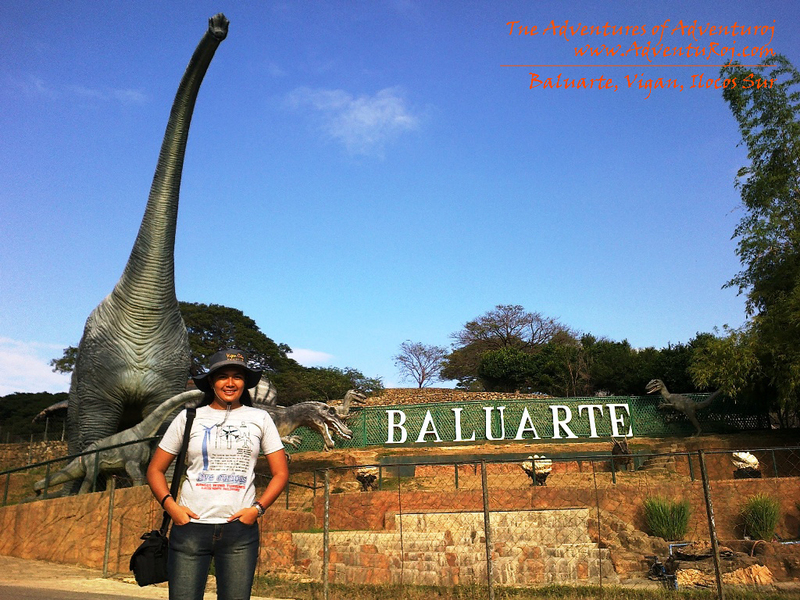 The Baluarte or fortress is a must-see attraction for first time visitors, and even for those who have visited Vigan before. The reasons for its being on the list of places to visit are two. 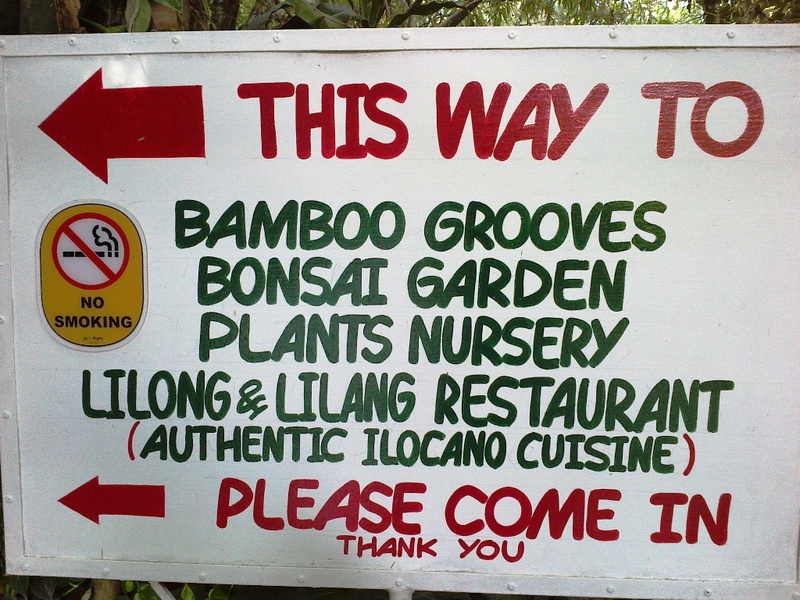 First is that it has a mini zoo with animals from other countries and others endemic to the Philippines. It is a private collection and is therefore continuously being improved. 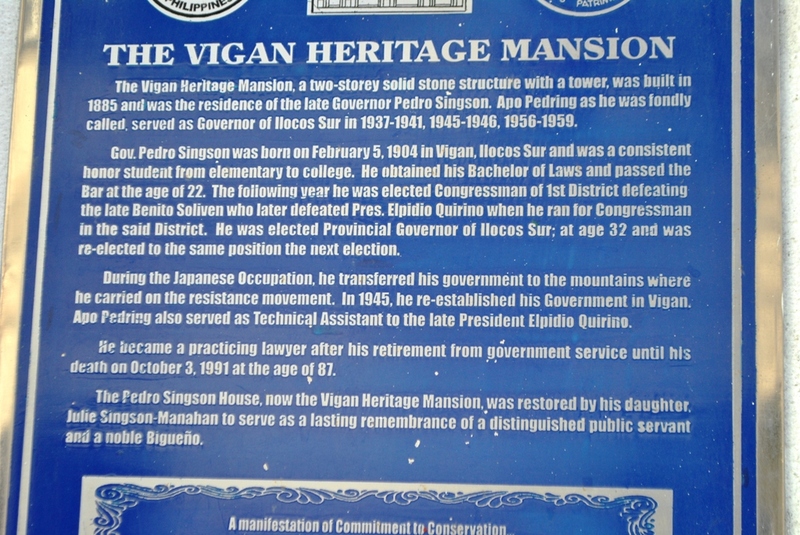 The second reason is that it is owned by Mr. Chavit Singson, a well-loved son of Vigan and well-known to most Filipinos and foreigners who follow the Philippine political scene. 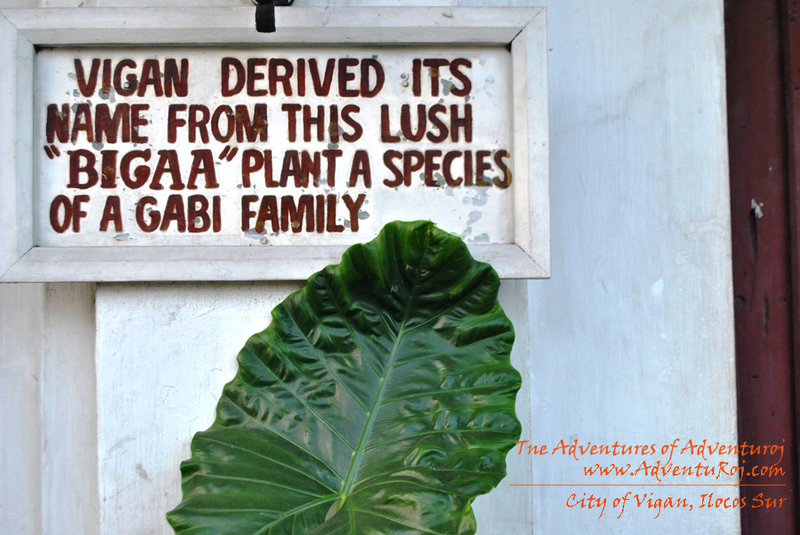 It is also dedicated to facilitate education, conservation and protection of endangered species and wildlife. Children and those who are young at heart will rediscover life amongst the animals in unique and entertaining ways specifically through first-hand experience. Hidden Garden is located in Bulala (a barrio known for its making of bricks, pots, and other objects made of clay), it is a wonderland of greenery, with a mini-snack bar nestled somewhere in the middle. 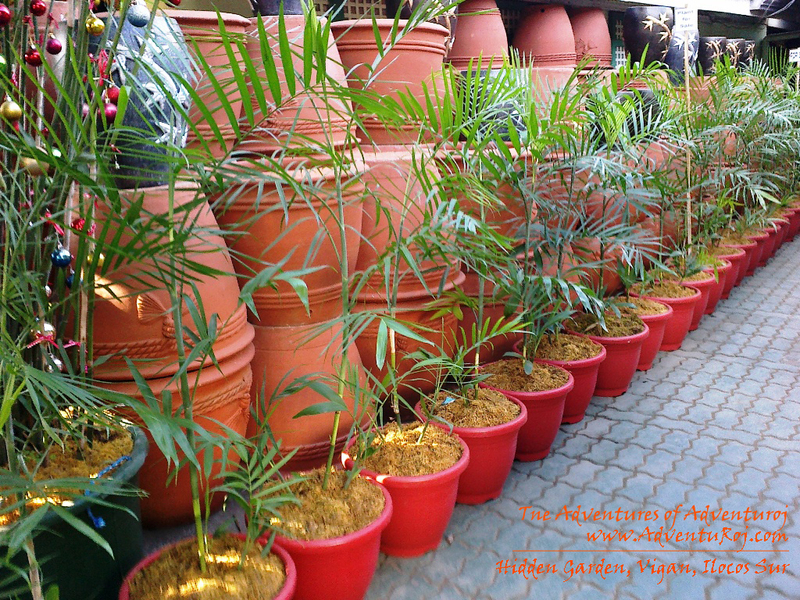 It is a vast landscape of nurtured lush gardens of bromeliads, ferns, palms, bamboo and bonsai. It boasts of large potted bird’s nest ferns, bromeliads girding a miniature waterfall or providing ground cover for a clump of bamboo, air plants growing on driftwood, and bonsai and ornamental stones dividing a pathway. 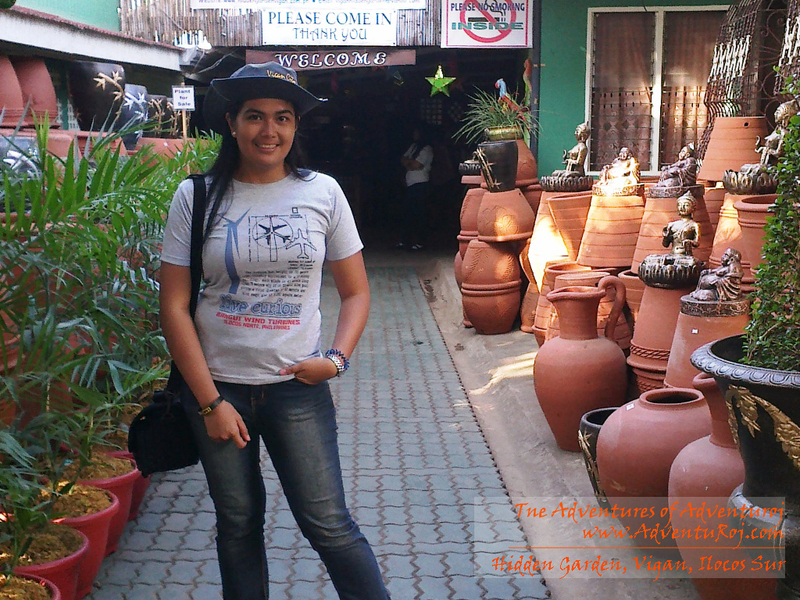 Strolling around it is truly a relaxing and refreshing experience. 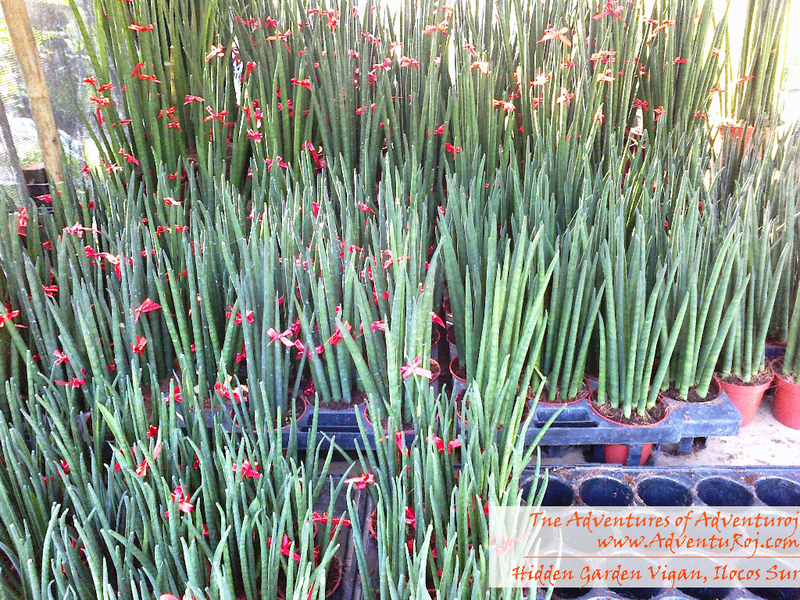 We also discover this indoor plant said to removes toxins. 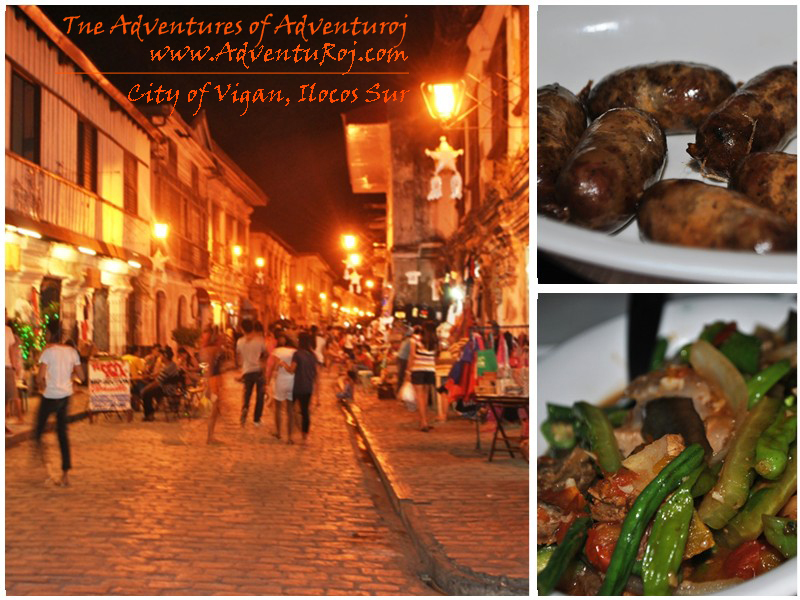 And of course, one is said not to have visited Vigan if he/she haven’t strolled around Calle Crisologo. 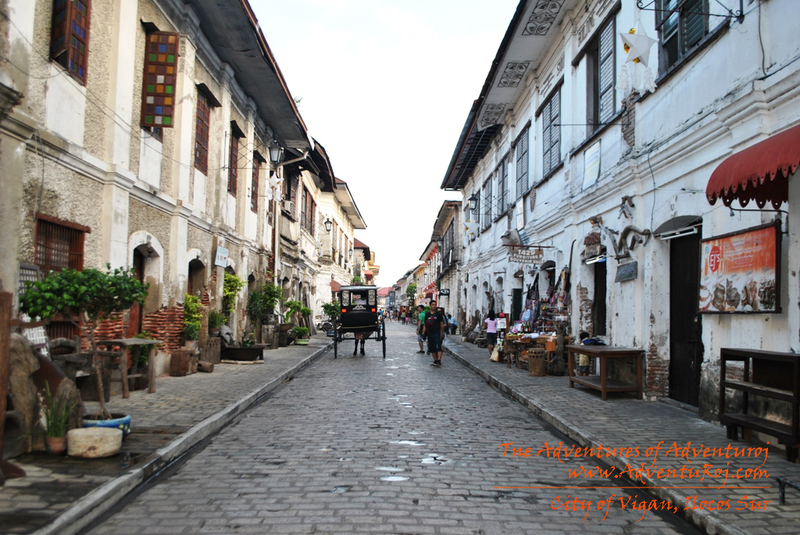 Calle Crisologo will bring you back to the period in Philippine Spanish colonial time with its cobblestone streets, the gorgeous backdrop of the old houses against the shadows of each houses, and of course the clacking noise of horse driven carriage, kalesa. 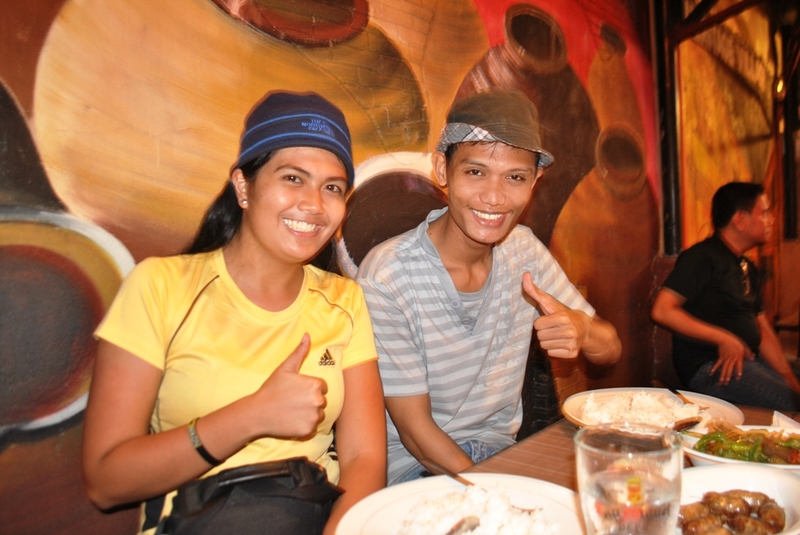 Apart from the Vigan Tour, that night Adventuroj also met a fellow Pinoy Travel Blogger who happens to be an Registered Nurse also, and a true blooded resident of Vigan, Edmar from www.Edmaration.com. 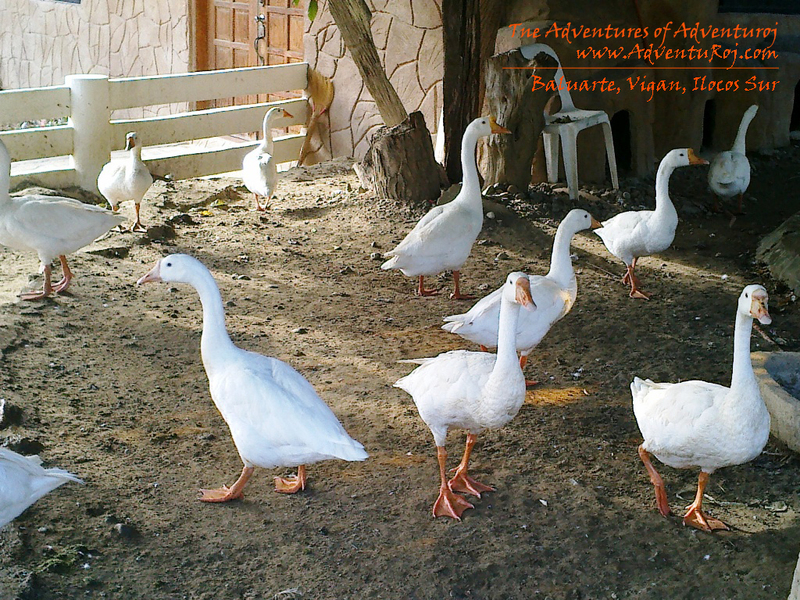 He warmly accommodated us to their house for the night since we were running out of budget for our tour. hehe. Talk about Filipino hospitality. Thanks a lot Edmar! 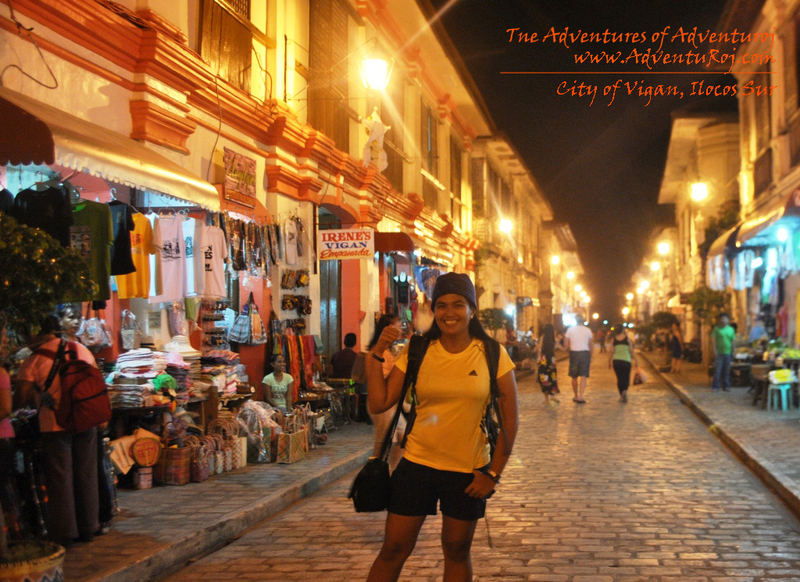 If there’s another thing that made me adore Vigan, that is its people. The people here are probably among the kindest I’ve met in all my travels. For one they do not take advantage of tourists / travelers, unlike the many others who will definitely empty your pocket of their sky high prices, particularly of overpriced transportation fares. It is only here in Vigan where I met a tricycle driver who after bringing us into our destination and asked how much we need to pay him, answered, “Kayo na po ang bahala Maam”. 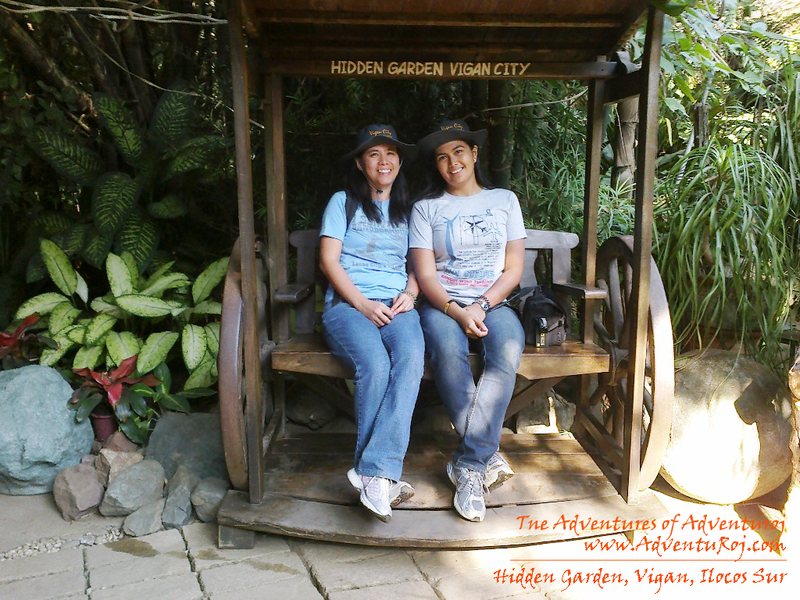 How to go to Vigan? For those looking for basic accommodation, check out the newly-opened Henady Inn, located along the National Highway in Bantay, next to the Caltex Station and just right across the Vigan City Arch. 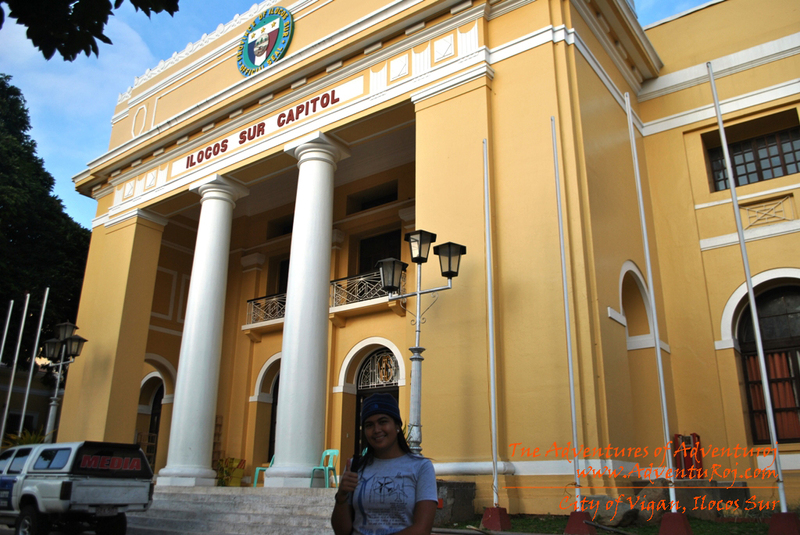 The town center is just 15 minutes walk away, or you can take a short tricycle ride. Rates start at PHP 200/person/night for a fan dorm room. 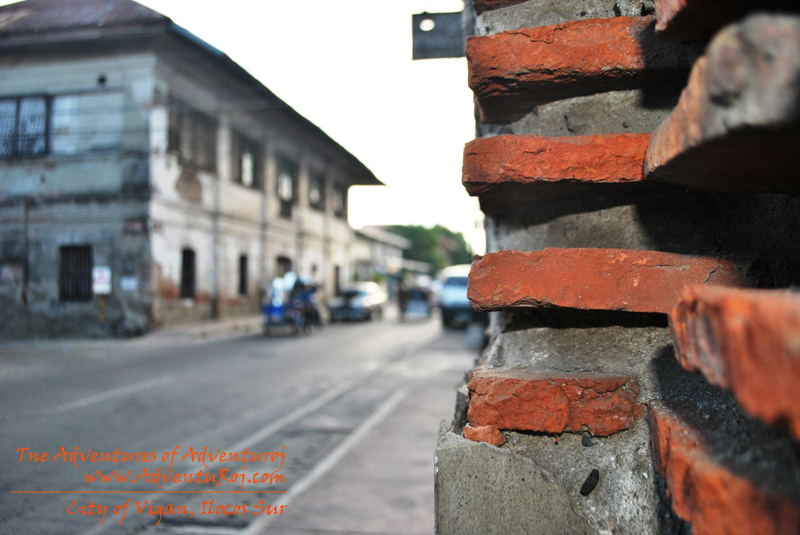 Private double rooms are great value at PHP 600 with A/C, CATV and toilet. A cheaper option that doesn’t sacrifice on rustic ambience is Grandpa’s Inn. It is a Spanish ancestral home converted into a cozy hotel with rustic ambiance, great customer service and delicious food. And starting at PHP 650 for a double fan room (common T&B), it’s one of the best value in town! Hello 🙂 This Nov. 27 sana may school tour kami jan sa Vigan… Please help me find some transient house or lodge that can accommodate 200 persons please? For seat guarantee, reserve your seats a day or two in advance. If you are coming in from Manila its best to call their service line at (+632)732-8534 to inquire seat vacancy. If you are coming from Vigan you must reserve your seats personally by visiting their terminal at Calle Liberacion, Vigan City. 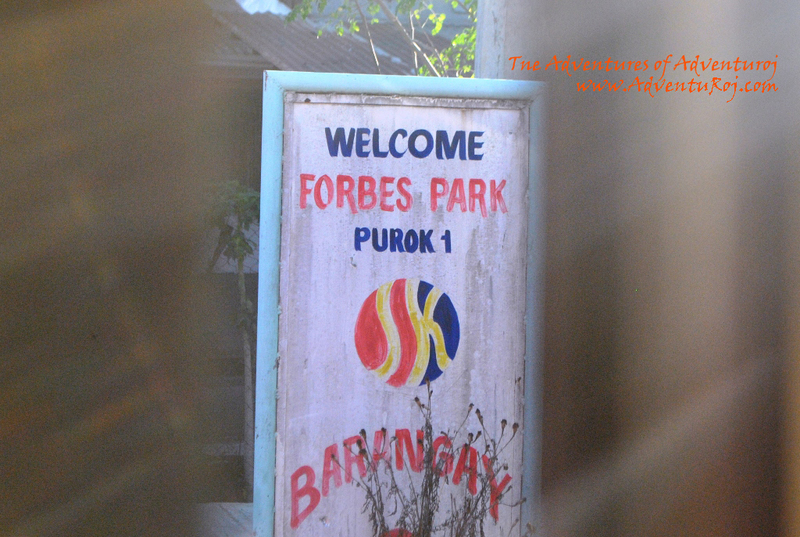 For further inquiries, special trips, packages, and the likes you may reach them at their facebook page. Just search for Aniceto Bus Line or Aniceto Tour Services.